The Pittsburgh Penguins are battling for the top spot in the Metropolitan Division after being on the cusp of missing the postseason prior to the New Year. They turned a negative goal differential through the first half of the season into a plus-19 and continue to score at a menacing pace. 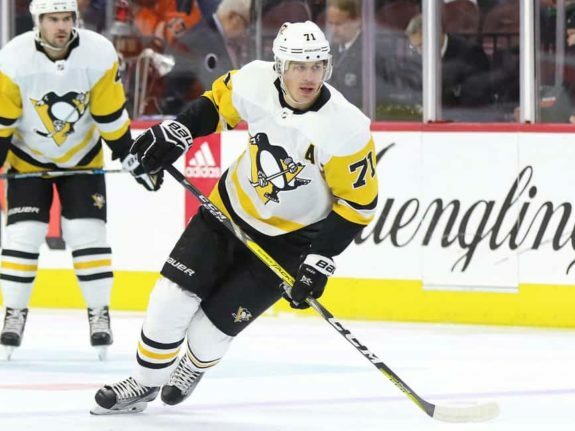 While the team has somehow flipped a switch and returned to their championship form of the past two seasons, one player, Evgeni Malkin, is leading the attack by a large margin. There needs to be more talk of Malkin’s case for winning the Hart Memorial Trophy for league MVP. It’s impossible to discount what Nikita Kucherov has accomplished this season and usually, the Hart goes to the most productive player on the league’s best team. Fair or not, and no matter your opinion of what constitutes an MVP, that’s how it tends to play out. As the award is normally voted on by the Professional Hockey Writers Association, is it safe to assume that Kucherov is a shoe-in? Of course, things have changed a bit since. Malkin is now two points behind Kucherov and has reached the 40-goal mark. The rest of the locker room understands that without Malkin’s uptick in performance — arguably, the best hockey of his career — they’d still be fighting and clawing to stay in the wild-card race. At even-strength, he’s clicking at 4.16 points per hour of ice time since Jan. 1, which trails only Brad Marchand of the Boston Bruins in that time frame. He’s leading the NHL in goals per hour and ranks 10th for primary assists. He’s taking over games offensively and looks, dare I say it, Lemieux-esque at times. Malkin’s two-way game, which makes him fairly unique among skilled forwards, is also on full display. His 3.8 takeaways per hour rank eighth overall at even strength and is accompanied by mostly forwards you’d expect to play more defensive roles. In other words, he’s all over the ice right now and has spearheaded the Penguins’ resurgence. The Pens lead the league in goals scored in 2018 with 126 goals through 32 games and Malkin has factored in on 53 of them. Contributing to 42-percent of the offense when a team is on a tear can’t be dismissed or overlooked. Simply scoring a ton of points is great. But racking up points while simultaneously putting your team in a position to win their division after a very disappointing start to the season is MVP worthy. It’s hard to argue otherwise. The NHL Owes Him One, Right? When Malkin was excluded from the NHL’s Top 100 Players list, it was surprising especially when you consider some of the players that were included. Now, Malkin is giving the NHL an opportunity to right that wrong and, let’s be honest, it isn’t an undeserving accolade; he’s earning it. 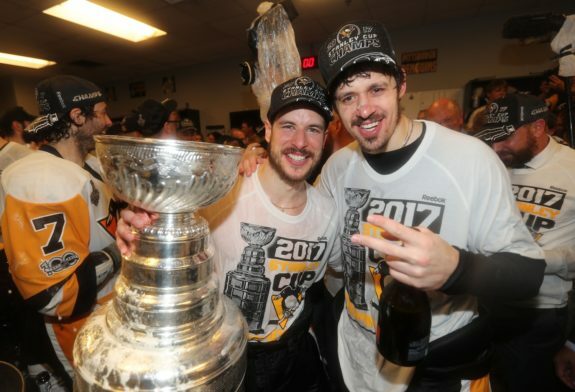 Throughout his career, Malkin has been largely overshadowed by Sidney Crosby and throughout he’s been understanding almost to the point of enjoying it. But that doesn’t give the league or the PHWA an excuse to ignore him. His career numbers speak for themselves and rank in the top 10 to 20 players in a number of different all-time categories. This season, he’s besting the impressive stats he’s compiled throughout his illustrious career. The Hart Memorial Trophy is rewarded to the player judged most valuable to ‘his’ team, according to the NHL. Taylor Hall is arguably the only other player to have as much impact on his team and carry the load in a way that rivals what Malkin has done over the last three months. Whether or not Malkin wins the scoring title should be irrelevant. He deserves his second Hart Memorial Trophy and he’s strengthening his case on a nightly basis. Your move, voters.